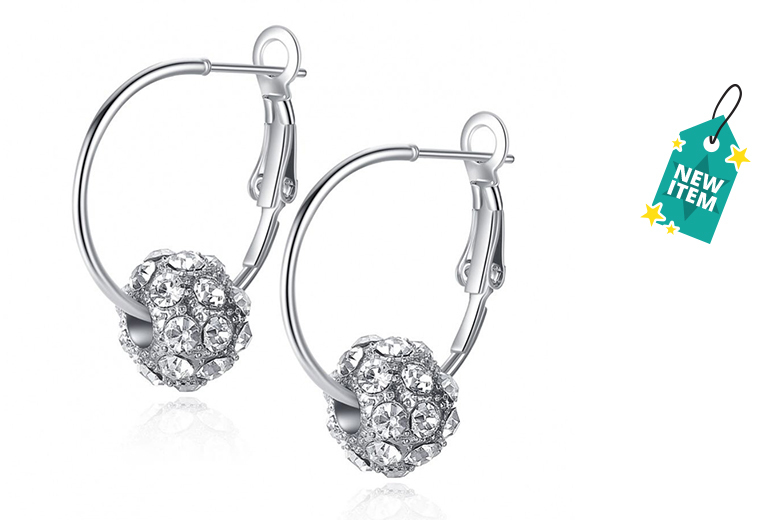 Get a pair of clear Czech crystal earrings! In a pretty hooped shape. Featuring a crystal encrusted bead. In a neutral silver colour. Coming in a luxury velvet pouch.